Friday, August 7th- Bowling Alley @6:30, no kidsSaturday, August 8th- A park (YTBD) with kids at an undecided time. Still working on that. 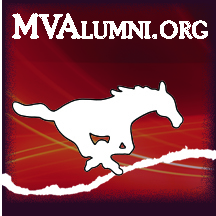 1995MVHS@gmail.com to update your information. If you are from a class earlier than 1940, we will have tables at the Breakfast marked so that you can visit together with classes from the 1940s and 1930s.